One of the principal tourist destinations in southern Norway is Preikestolen, the Pulpit Rock. Described by Lonely Planet as “One of the world’s most breathtaking viewing platforms”, it is located just over 15 miles due east of Stavanger, on the northern side of the Lysefjorden. 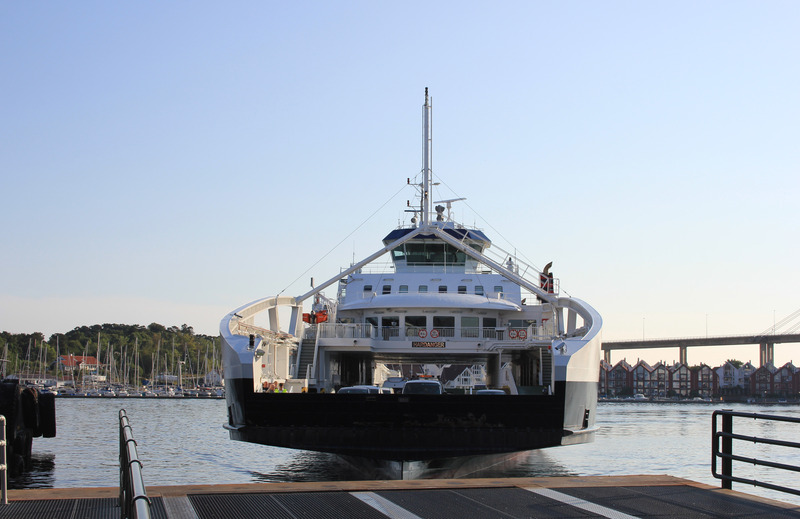 The most convenient way of reaching it from Stavanger is to take one of the regular ferries to Tau. Busses then ferry tourists to and from the large car and coach park at Prekestolhytta, from which the walk to Preikestolen and back is a recommended five hours. We realised that Priekestolen would be popular, so decided to take the first ferry of the morning. Here it comes! We were so pleased we caught the early one! The sun was up, but it was still warming the world and the early morning haze was still burning off. There were amazing views across the calm water, over the islands lying at the entrance to the fjords and across to the distant peaks behind. This entry was posted in Norway and tagged ferry, Norway, Preikstolen, Pulpit Rock, Stavanger, Tau, travel. Bookmark the permalink.